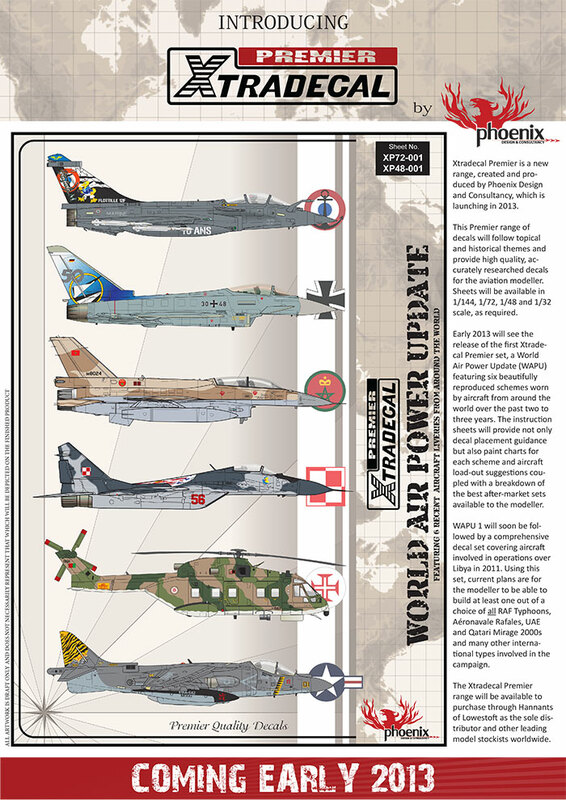 The new Xtradecal Premier range is being prepared, on behalf of Hannants, by Phoenix Design and Consultancy and will cover a broad range of mainly Post-War subjects. The production of sheets in both major scales (1:72 and 1:48) will be dependant on the availability of kits and will be in line with the current strategy adopted for the Xtradecal Range. Some subjects may, in due course, be released in other scales subject to marketability and consumer interest.